We're really happy with the number of swimwear designers that are coming out of the Caribbean region at the moment, and are even more thrilled with the standard of the designs. 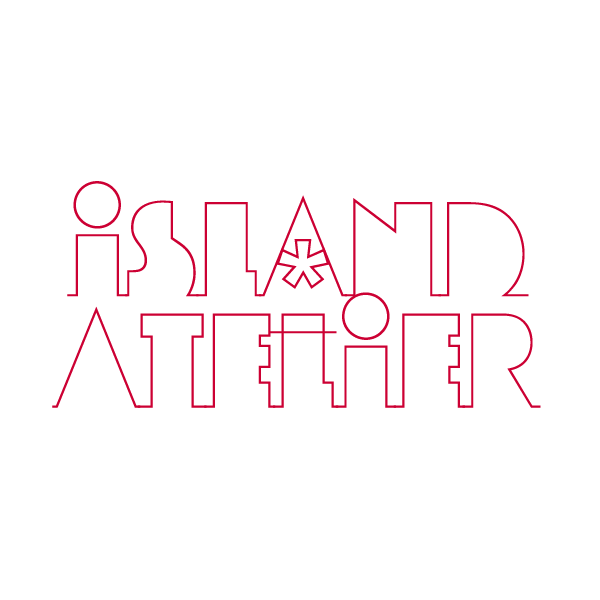 This latest collection is from Ana Granada which hails from the Spice Island of Grenada and whose suits have a minimalistic and sophisticated look. With a palette intended to flatter a tan, Ana Granada's swimsuits actually look functional and beach-ready as opposed to be used merely for lounging around a pool or as Monday Wear. 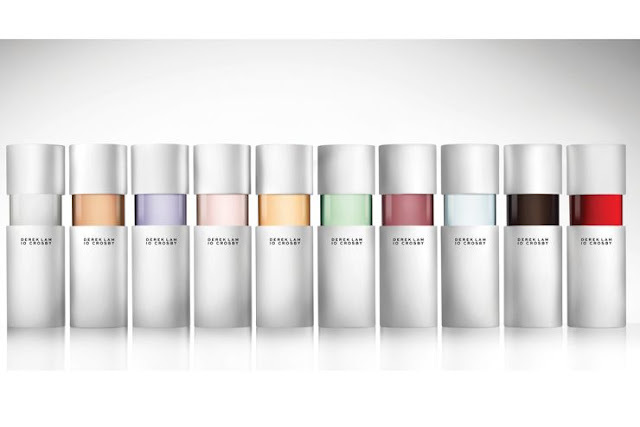 Derek Lam has launched a line of ten (of course) scents under his diffusion line, 10 Crosby. Each scent comes in a sleek glass bottle differentiated only each by its colour. 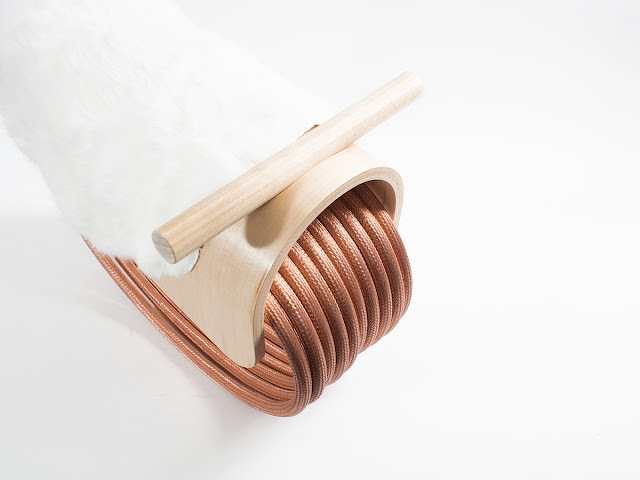 The Epona rocking horse from Warehouse is crafted from recycled copper cable, hand-finished Canadian maple wood and rabbit fur. Named for the Gallo-Roman goddess of fertility and the protector of horses, the prototype toy is intended to fit a more modern design taste without compromising fun. 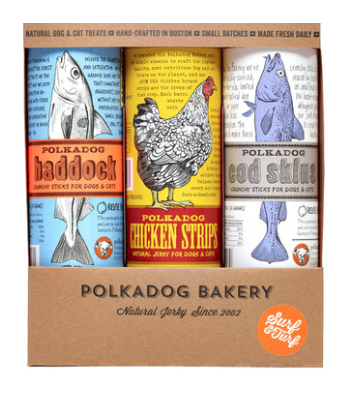 This trio of dehydrated cod skin, chicken and haddock skin treats for dogs and cats from Polka Dog Bakery comes in a pretty package. 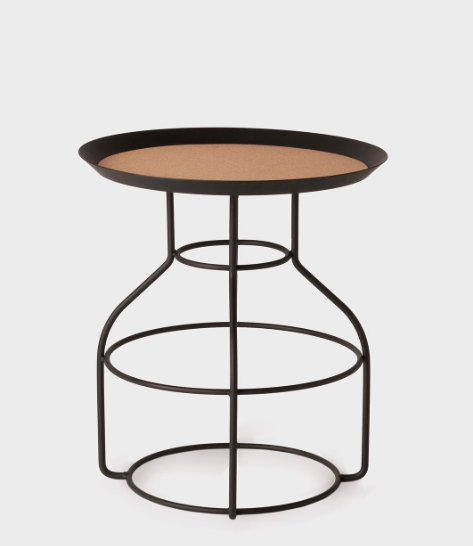 The Bradley Hooper side table is made from steel rods that have been cast in a series of hoops referencing basketball rings. The table is available in two sizes and comes in a variety of top options including American Ash, Walnut and cork. 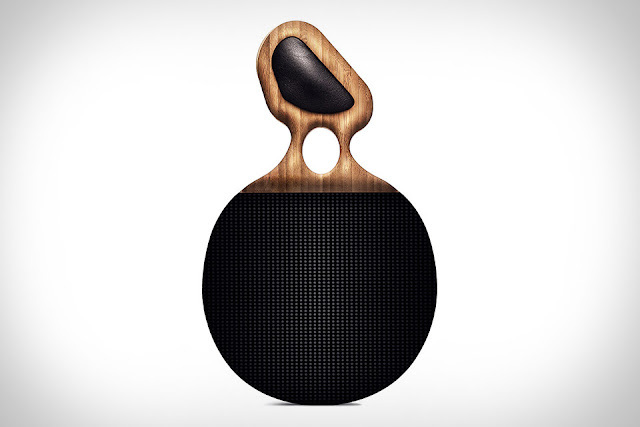 There is something beautiful about the organic shape of this ping pong paddle. From Coconut, the paddle has an edge grain of bamboo wood with a hole in the handle into which a finger can be inserted to improve the player's grip. The benefit of this design device is twofold: it ensures that no fingers touch the playing surface or come in contact with the ball. The paddle's construction includes a core made of blonde 3-ply bamboo finished with custom foam handle inserts for a comfortable grip. The surface is covered in hand-cut textured rubber. This collection which, on the surface, seemed to be all about hardness and texture was belied by the fact that the overriding silhouette was soft, full and rounded. Diamonds which appeared in a stylised form on dresses, skirts and coats and even on lace collars and underskirts featured as the main motif. 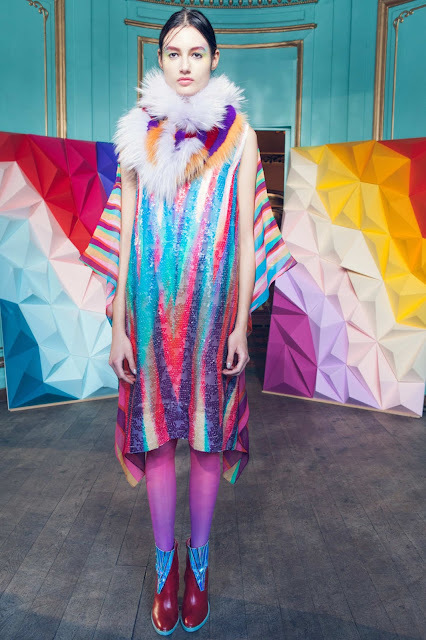 Chisato used rainbow gradients, iridescent fabrics to mimic the shine of gems and minerals and texture was evident in the extra long fringes of yarn that wove down sweaters and dresses. After experiencing technical difficulties yesterday, we're racing to complete our look at the shows in Paris and to wrap up this month of fashion. 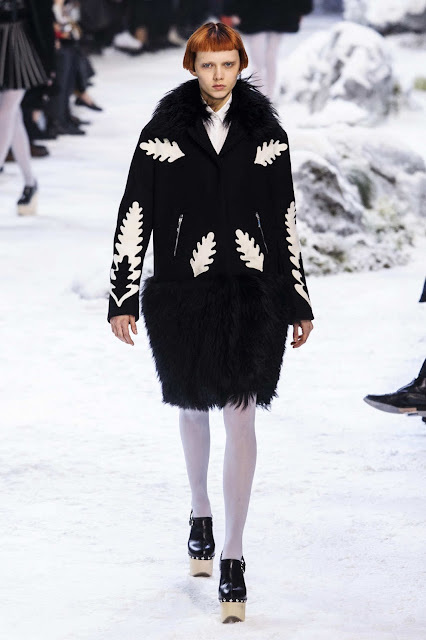 Moncler Gamme Rouge turned the runway into an alpine winter wonderland complete with snow for this collection that was definitely Swiss inspired. Designer Giambattista Valli ensured that the collection looked pretty all the while maintaining its practicality as the clothes are designed to stand up to the elements. Traditional lederhosen and national costuming were modernised and updated with the use of non-traditional materials such as patent leather, jacquard, alpaca, washed silk and bouclé. Decorative elements found on chalets were replicated on embroideries, trimmings and lace. We liked the elegant simplicity of this collection from new creative director Alithia Spuri-Zampetti that was all about volume, structure and refined femininity. 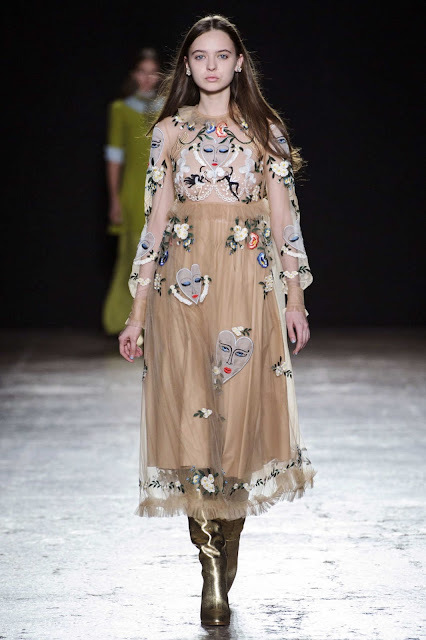 In particular we liked the re-embroidered embroidery print that resulted in a multi-dimensional effect. 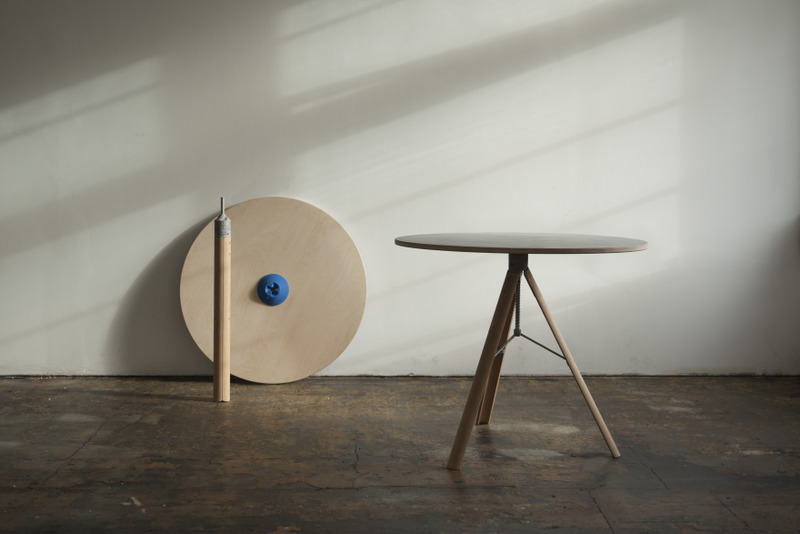 Major Tom by designer David Ciernicki is a modular furniture system that allows quick and easy assembly, disassembly or modification of its pieces such as this table, which comes equipped with a top that can be connected to its legs in a few easy steps. The attachment is made via a conical steep-thread on which the panels are screwed and secured using a simple mechanism whereby three metal pins snap into the modular panels and prevent the pieces from being separated. Th­e tripod legs fold into a cylinder when closed thereby taking up a minim­um of space. We are happy to note that this year's Sports Illustrated Swimsuit Edition featured a number of Caribbean swimwear designers including two we've highlighted here before: KASS (pictured after the jump) and indieSWIM (shown above). 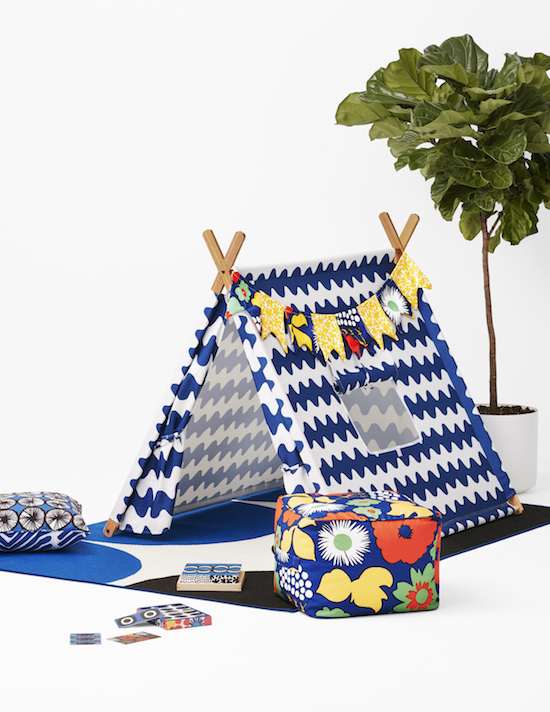 We've written about Marimekko collaborations here on five separate occasions, so it was pretty much inevitable that they would get around to collaborating with Target eventually. The Finnish design house has been announced as Target's next joint venture which is scheduled to launch on April 17. The limited-edition collection, which is intended to create the feeling of an eternal summer and carefree outdoor living by offering items that bring people together and encourage them to play, will feature more than 200 printed pieces including entertaining essentials, outdoor furniture, pool and beach gear and swimwear for women and girls. The best part? Most items in the line will retail at less than $50. Over in Paris, knitwear takes on a dystopian, futuristic feel at Anrelage where patterns were reminiscent of circuitry and electronic interference. The models appeared behind screens and some were shrouded in a special plastic designed to better highlight certain textural effects. The soft shapes were generally boxy. Trousers were cropped and wide and shoulders exaggerated with padding. Some shapes were skewed - not quite asymmetrical but lopsided - and texture was evident everywhere: from the the slightly dangerous looking, sharp ridges running down the sleeves to the spiked, scalloped hems of the dress and skirts. Everything was rendered in muted colour tones of grey and black but set off by the most covetable sparkly booties. A bit of a departure for us but indubitably a beautiful, feminine collection from Vivetta. You can't be anything less than cheerful looking at this collection from Salvatore Ferragamo which took stripes and colour-blocking to a new level. Brightly coloured knitwear were fastened together by buttons and zippers were opened along seam lines to reveal layers and created a petal-like effect on skirts, coats and capes. 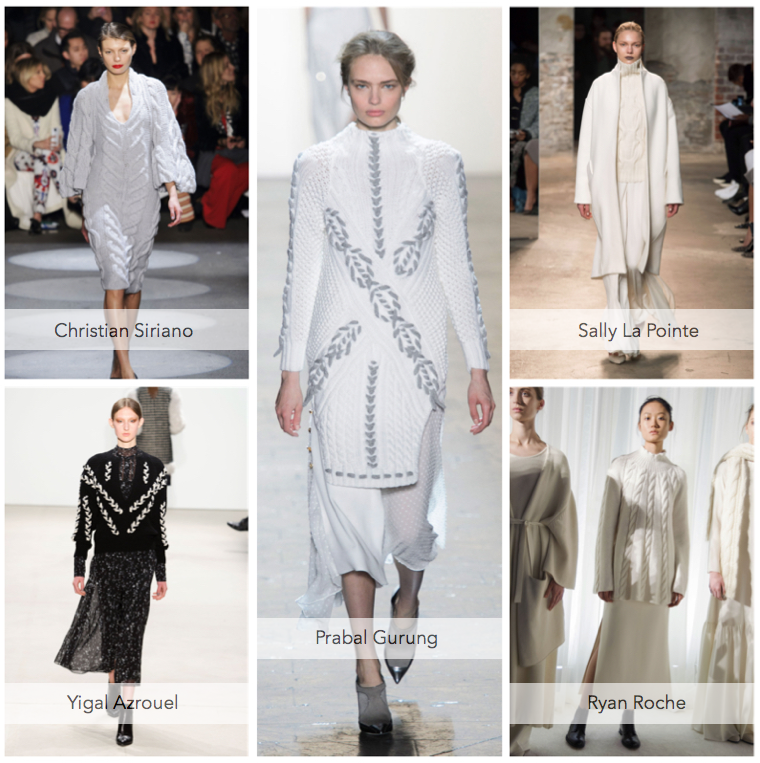 Micro pleats and serrated edges finished off a collection that was sleekly sophisticated and ladylike. 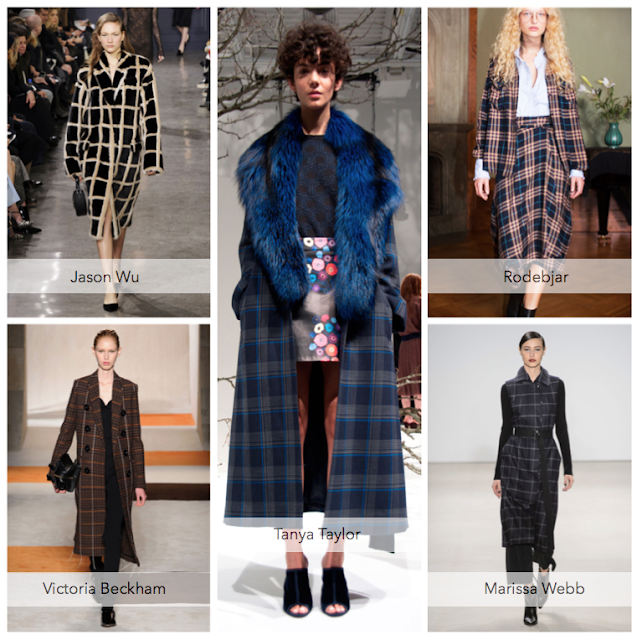 As the fashion world has already turned its attention to Paris, let's hurry and wrap up our look at Milan. 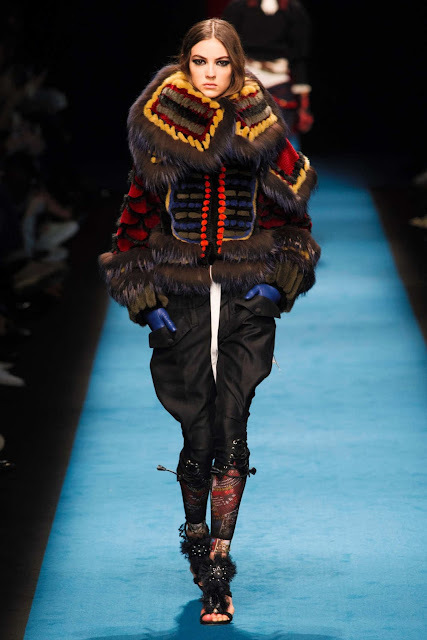 Twin designers Dean and Dan Caten at Dsquared2 had us counting down the days to the end of minimalism with this theatrical collection that somehow managed to fuse Victorian, military and samurai elements. 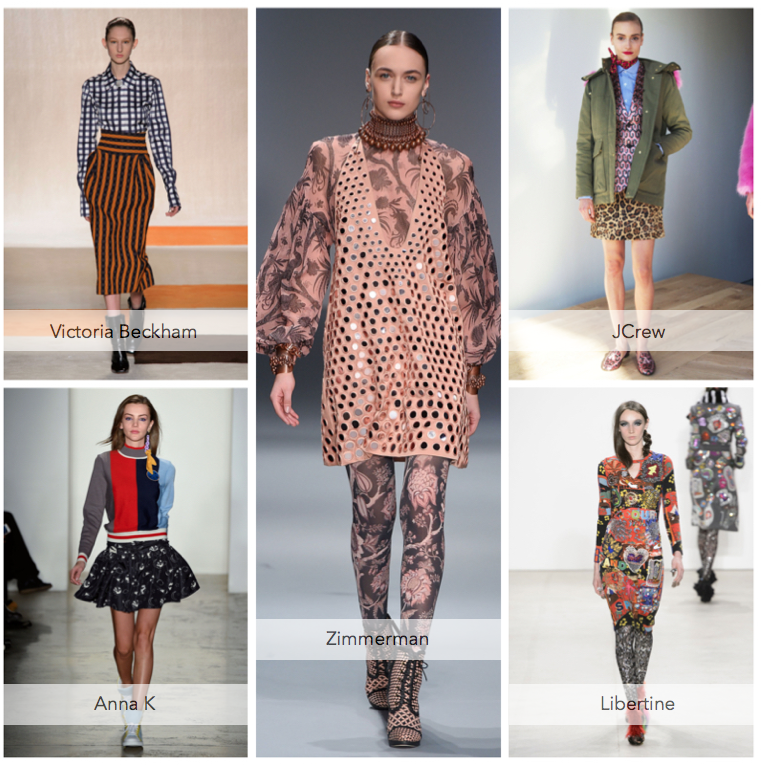 The designers piled it on sending fur, fringes, tassels and embroidery down the runway. We liked the jodhpur-like trousers which came cropped with an abundance of utilitarian pockets and which were saved from seriousness by being paired with open-toed sandals.